There are roughly 4,700 potentially hazardous asteroids (PHAs) with diameters larger than 330 feet (about 100 meters). So far, an estimated 20 to 30 percent of these objects have been found, according to observations from NASA’s Wide-field Infrared Survey Explorer (WISE), which have led to the best assessment yet of our solar system’s population of potentially hazardous asteroids. Potentially hazardous asteroids are a subset of the larger group of near-Earth asteroids. 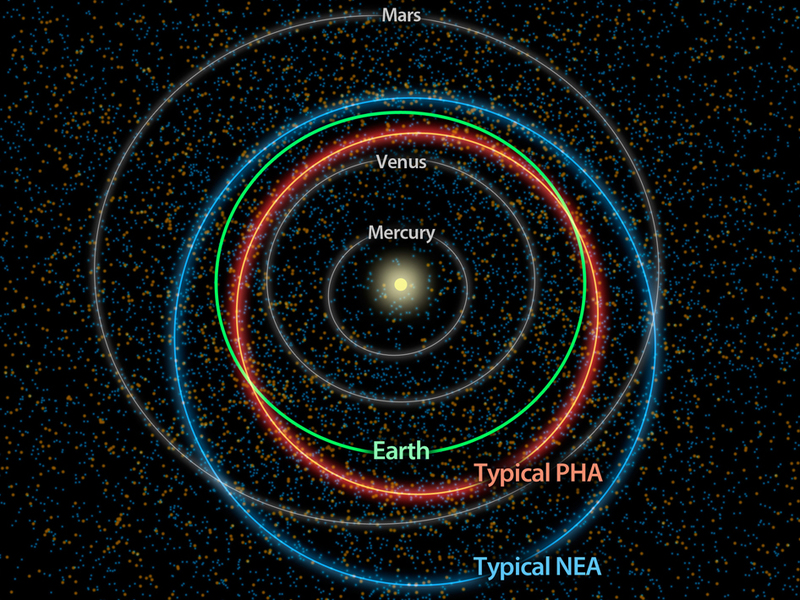 The PHAs have the closest orbits to Earth’s, coming within five million miles (about eight million kilometers), and they are big enough to survive passing through Earth’s atmosphere and cause damage on a regional, or greater, scale. The new results come from the asteroid-hunting portion of the WISE mission, called NEOWISE. The project sampled 107 PHAs to make predictions about the entire population as a whole. Findings indicate there are roughly 4,700 PHAs, plus or minus 1,500, with diameters larger than 330 feet (about 100 meters). So far, an estimated 20 to 30 percent of these objects have been found. While previous estimates of PHAs predicted similar numbers, they were rough approximations. 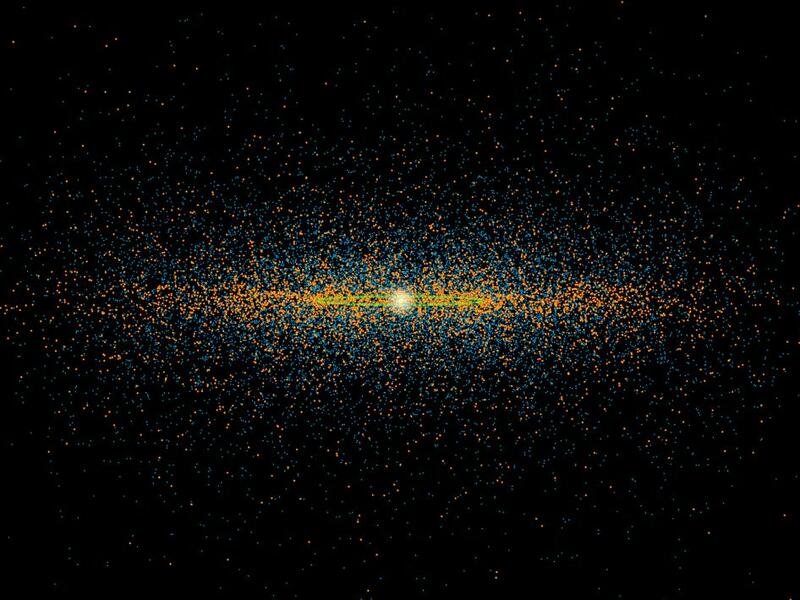 NEOWISE has generated a more credible estimate of the objects’ total numbers and sizes. It suggests that about twice as many PHAs as previously thought are likely to reside in “lower-inclination” orbits, which are more aligned with the plane of Earth’s orbit. In addition, these lower-inclination objects appear to be somewhat brighter and smaller than the other near-Earth asteroids that spend more time far away from Earth. A possible explanation is that many of the PHAs may have originated from a collision between two asteroids in the main belt lying between Mars and Jupiter. A larger body with a low-inclination orbit may have broken up in the main belt, causing some of the fragments to drift into orbits closer to Earth and eventually become PHAs. Asteroids with lower-inclination orbits would be more likely to encounter Earth and would be easier to reach. The results therefore suggest more near-Earth objects might be available for future robotic or human missions. The discovery that many PHAs tend to be bright says something about their composition; they are more likely to be either stony, like granite, or metallic. This type of information is important in assessing the space rocks’ potential hazards to Earth. The composition of the bodies would affect how quickly they might burn up in our atmosphere if an encounter were to take place.